I stumbled upon Elycia's blog recently and she's just the cutest thing ever! She's hosting a giveaway in honor of her birthday (what a sweet girl), and guys, there's some seriously adorable stuff!! So go here and enter for your chance to win!! You should follower her blog too, and heart her etsy... and stalk her like I've been doing!!! hi! 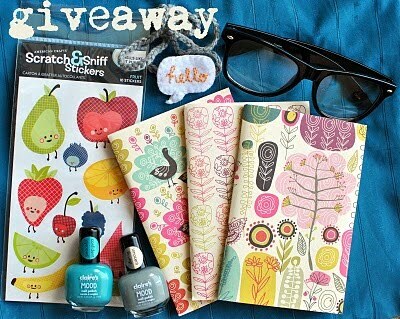 thanks so much for mentioning my giveaway :) you are very sweet! i love that granny square pillow in your etsy shop, sooo cute! Hey there! Thanks so much for your comment! I read every one I get, and I try to reply as much as I can. You can also email me if you want! susannahbean AT gmail DOT com.